AMERICAN EXPERIENCE “The Circus” is a new two-part documentary series premiering on the Oklahoma Educational Television Authority (OETA), at 8 p.m., October 8-9. This new documentary explores the colorful history of this popular, influential and distinctly American form of entertainment, from the first one-ring show at the end of the 18th century to 1956, when the Ringling Bros. and Barnum & Bailey big top was pulled down for the last time. Drawing from a vast and richly visual archive and featuring a host of performers, historians and aficionados, “The Circus” brings to life an era when Circus Day would shut down a town, its stars were among the most famous people in the country and multitudes gathered to see the improbable and the impossible, the exotic and the spectacular. Through economic ups and downs, two world wars, the Great Depression, religious disapproval and the advent of radio and television as entertainment, the American circus kept moving forward at an ever diminishing rate. Last year, the final curtain fell on the Ringling Bros. and Barnum & Bailey Circus. Shrinking attention spans, shrinking audiences and a modernized view of animal rights have all but ended this uniquely American form of entertainment. 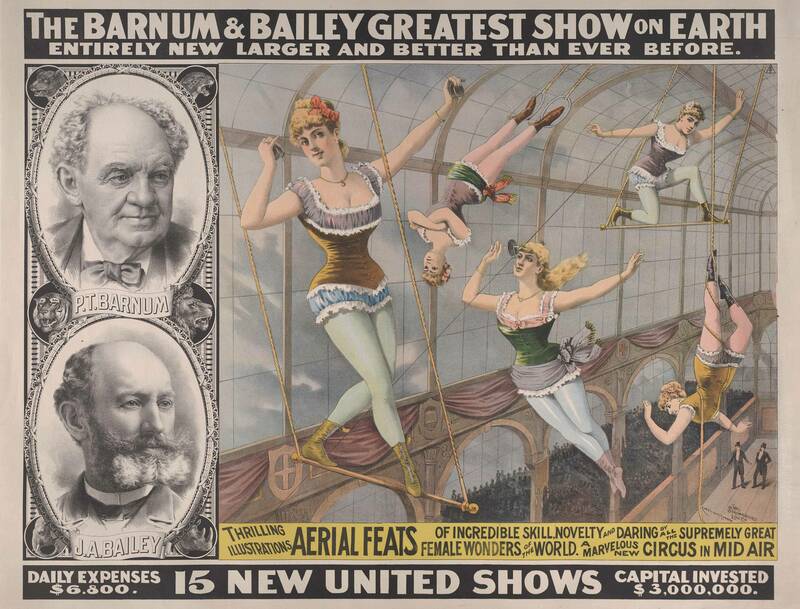 But, for more than 200 years, circus’ have brought the dangerous and exotic world to small towns across the country. The circus was a place where women, who’s rights were limited at best, could become lion tamers and men could escape and travel the world. The circus offered liberation, a way out of one’s circumstances where people could run away and become their true selves.